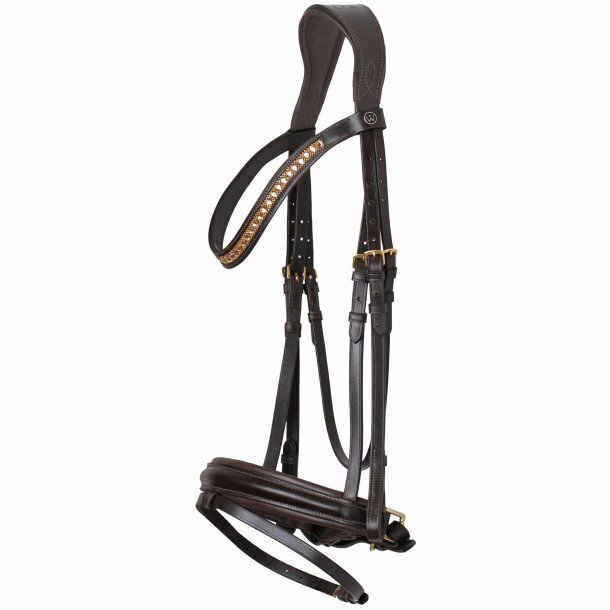 Stunning bridle in Brown with gold Crystals and gold buckles. It is with our custom designed anatomic neckstrap. 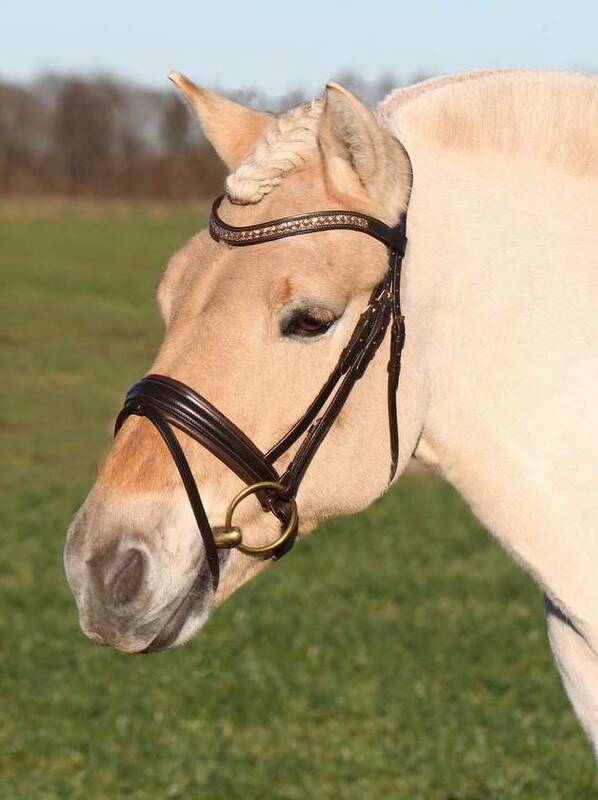 This gives for Space for the ears and a larger contact surface helps to minimize the preassure on the neck. Recommended Retail Price: 121,00 Euro.